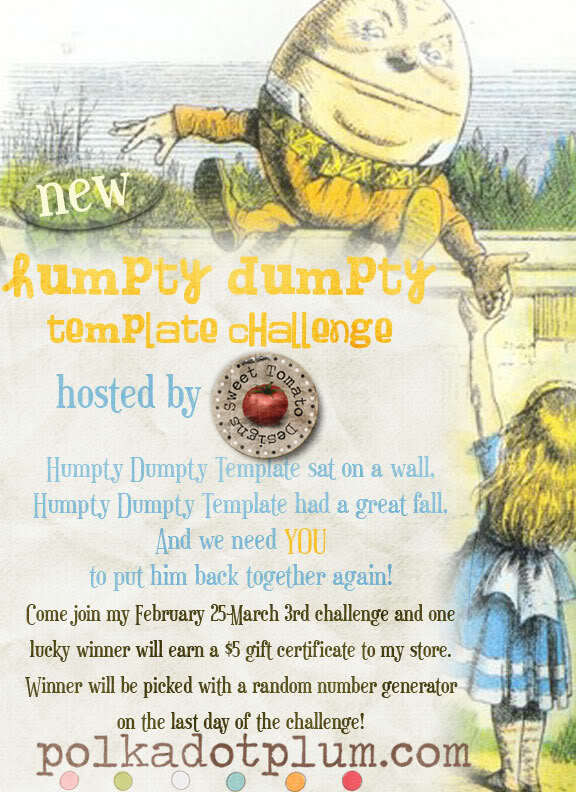 Cara is hosting a Humpty Dumpty challenge over at Polka Dot Plum, tonight! Hope your having a GREAT day and I can’t wait until next week when Sweet Tomato Designs new kit is released and I can show you some layouts (and hopefully a quick page?) of my beautiful princesses.